NEW YORK, NY – March 15, 2019 – during the Grand Opening Weekend of Hudson Yards, numerous public performances took place including presentations from the Rising Stars of the Ailey School, an NYC-founded performing arts community using the beauty of the African-American heritage and other cultures to unite people of all races, ages and backgrounds; the Haiku Guys, poets that create complimentary Haiku’s on any topic; Taro’s Origami, intricate and unique origami mementos; Caricature Artist A.E. Kieren, an undercover illustrator creating candid sketches in the moment; The D.R.E.A.M. Ring, a community-oriented dance company performing the Brooklyn-born street dance style Flexn, dressed by Lululemon; and Cameo heirloom silhouettes were cut by internationally known silhouette artist, Cindi Harwood Rose amazing guests and fashionistas with her on-sight profile artworks by hand, and just with surgical scissors and her precise talent. The one-million-square-foot retail center brings together an unparalleled collection of shopping and dining experiences found nowhere else in New York, including offerings from leading brands in every category from luxury to fast fashion, first stores from many digitally native brands and imaginative cultural exhibitions. Located within the vibrant new Hudson Yards neighborhood – surrounded by 14 acres of public space, new cultural landmarks. The Shops & Restaurants offer New Yorkers, visitors, workers and residents a comprehensive collection of top brands and experiences. This includes an approximately 190,000 sq. ft. Neiman Marcus, featuring three restaurants, on the top three levels of the retail center; a collection of experiential retail concepts and first permanent stores from leading digitally native brands; New York’s first Forty Five Ten, a more than 16,000 sq. ft. outpost of the Dallas-based boutique with four distinct storefronts; and mainstays across every category. The Shops & Restaurants is also home to Snark Park, the first permanent exhibition space from New York-based design studio Snarkitecture. Designed by Elkus Manfredi Architects, The Shops & Restaurants pay homage to the industrial past of the West Side. Inside, steel and dark wood evoke the rail yards that once dominated the area and natural stone floors and exposed support structures contribute to the rough-hewn, urban elegance of this vertical neighborhood. With the rich history and geographic location of Hudson Yards in mind, all artworks relate back to the site’s past, present or future expressed in the artist’s distinct point of view. Premier silhouette artist, Cindi Harwood Rose, has mastered the lost art of hand-cutting profile-portraits using the best French silhouette paper and scissors. Cindi is a fourth generation fine artist with natural talents. Cindi began working for a Walt Disney art company as a teen, first drawing in pastel and watercolor, then progressing to the difficult art hand-cutting profiles, with full interior details. Cindi Harwood Rose has lived and worked in Los Angeles and Orlando at both Disney theme parks, creating a silhouette artist record in speed and sales productions, and being part of the Disney theater group. Cindi Rose, studied in New York City as well. C. Rose lectures on the history of silhouettes, and is ranked as the top silhouette artist of this era, as well as the world’s fastest, paper profile cut arts master, with an unmatched likeness. Her work appears to capture the soul. Specialties: Natural organic home-made skin care, cooking food, and preparing raw foods, all art mediums, including bronze, oils, found objects, collage, watercolor, and applying these mediums on hand-cut paper arts. 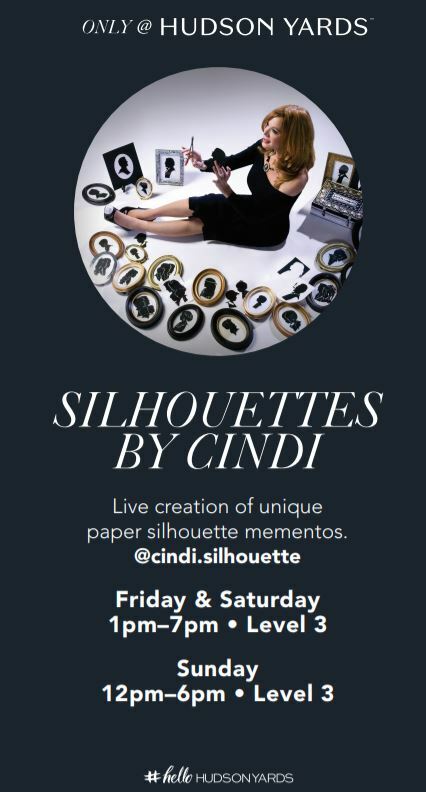 Cindi Rose is available to do silhouettes for weddings, business meetings, and store events.